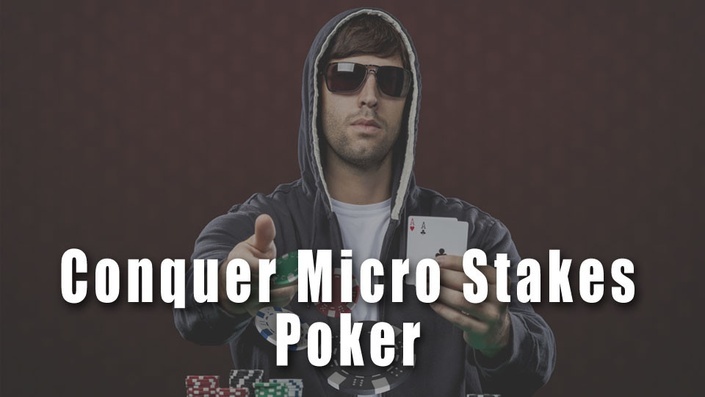 Are you a good micro stakes poker player looking to conquer the micro stakes? Do you want to move up in stakes and escape the micro stakes? This course will teach your intermediate and advanced No Limit Hold’em poker strategies you need to know to conquer the micro stakes! You’ll learn the intermediate and advanced strategies you need to master and escape the micro stakes! And I'm going to show you how to do so as well! Once you complete this course, you will be a fierce adversary and feared opponent at the poker table and will easily be able to crush micro stakes online poker. You will not only win a lot more money at the poker tables, but you'll have a HUGE edge over your fellow micro stakes opponents! Most importantly, you will be a much happier poker player as you see your profits skyrocket and as you move up in stakes throughout the year!